The world is falling in love with Korea. I have lived here for over three years now, and I feel, shortly before I moved here, Korean culture was just starting to spread around the world. Now, I have no interest in the terrible music, over-the-top TV shows, or other ways that Korea likes to use to promote itself worldwide, but one thing I can support is the spread of Korean food. I love Korean food, and I have before I moved here (I graduate after this semester, and I know the food is what I will miss the most about this country). 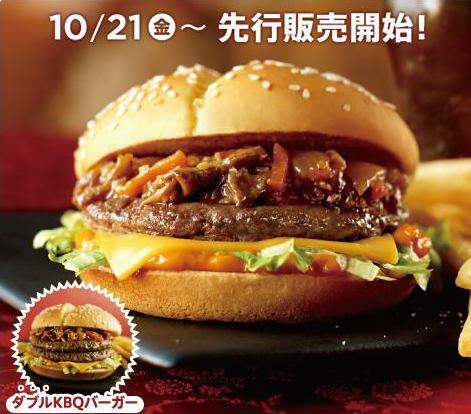 Back in November of this year when I had a one day transit stop in Tokyo (the same day I tried the McHotdog Chilli), I sampled the KBQ Burger, which was a large beef patty topped with Korean Bulgogi on top of it. 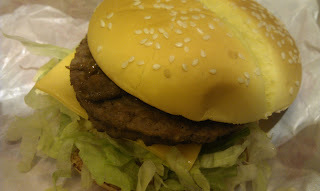 Beef on Beef action is something I will never turn down, even with the hefty price tag of 770Y for the medium size combo. 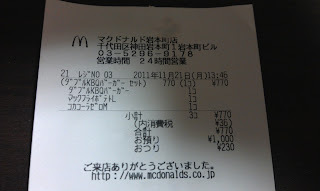 It was, and still is the most expensive single McDonald's meal I've had. 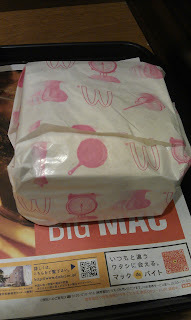 Sadly, it was not served in a promotional box, like most of the other Japanese limited edition items. I don't know if they just ran out, or if they never had any. 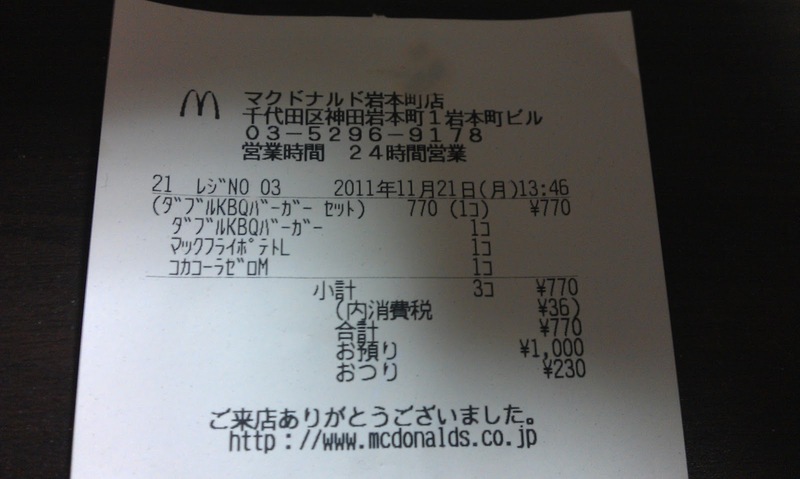 But that was not the only sadness I would experience with the meal. The sauce overpowered the rest of the burger, and it wasn't a very good sauce anyway. 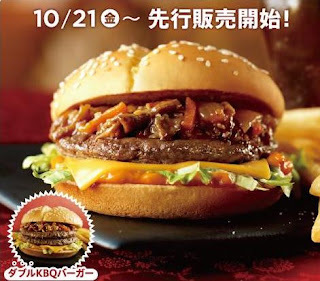 I think because the Japanese feel that Korean food always has to be spicy, that they mixed pepper (or possibly Korean Pepper Paste), which gave the sandwich a little kick, but not enough to save the weak taste of the sauce. 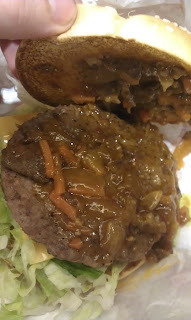 The small cuts of beef mixed into the sauce and served on top of the patty were chewy and rather unappealing. The beef patty itself was decent, and a good size, but if you've ever flown Korean Air, or Asiana Airlines and tried their airline Bulgogi, then you know what this burger tasted like. Maybe to someone not living in Korea it would have enjoyed it better, but it isn't something I would want to try again.